TC Motorhomes are pleased to announce that the first two of the 2011 Elddis Autoquest models have now arrived. Globecar Motorhomes have Selected TC Motorhomes In Broadstairs, Kent to represent them in the South East, selling their range of well-built compact Motorhomes. 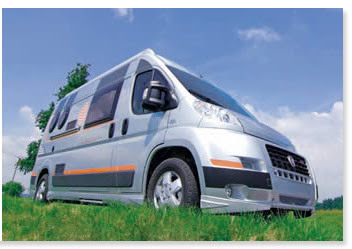 Built by the Hymer Family In Germany, and distributed throughout Europe, Globecar motorhomes are of the highest standard in both build and design. Holga Hallmann Operations Manager of Globecar Motorhomes Ltd - said that he looked forward to "working with the team at TC Motorhomes and developing Globecar in the UK Market."